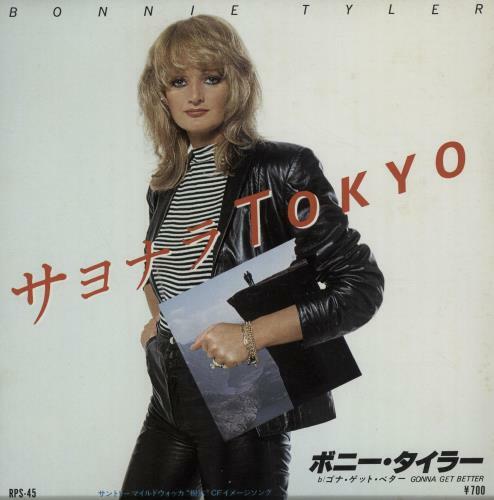 BONNIE TYLER Tokyo (1981 Japanese advance promotional 7" for the single pressed on Translucent Brown Vinyl, only visible when held to the light. 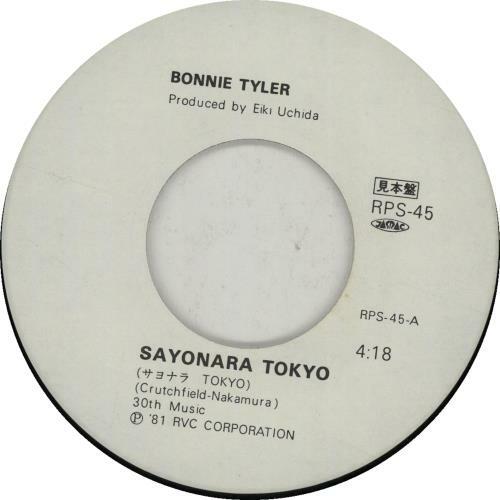 The wide centred label is actually printed 'Sayonara Tokyo'[Goodbye Tokyo] & is backed with Gonna Get Better, complete with a unique picture insert with lyrics on the back. The insert has minimal wear whilst the vinyl shows very little evidence of play RPS-45).